It seems like lately, all the buzz had been around the cloud, especially public cloud. 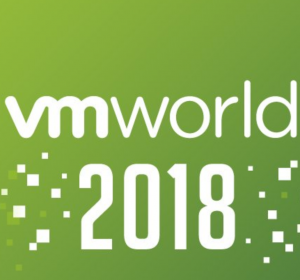 At VMworld 2017, there is certainly no exception to that. 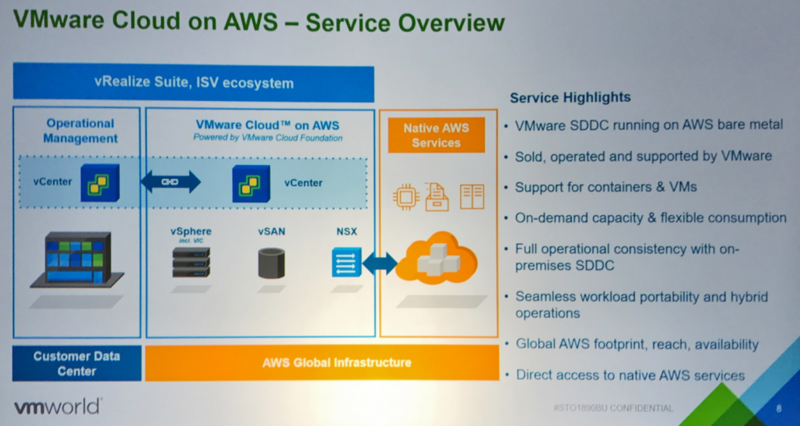 In fact, in the morning keynote, AWS was onstage alongside Pat Gelsinger announcing VMware Cloud on AWS. Simply put, it’s running the VMware SDDC suite on AWS resources. Once deployed, the underlying infrastructure is managed by AWS and VMware, allowing the customer to focus on simply consuming the resources paid for. Maintenance is handled in a way that is non-intrusive and at no loss of capacity. Without having to worry about the infrastructure, capital expenses, and storage expansion, workloads can thrive on public cloud. 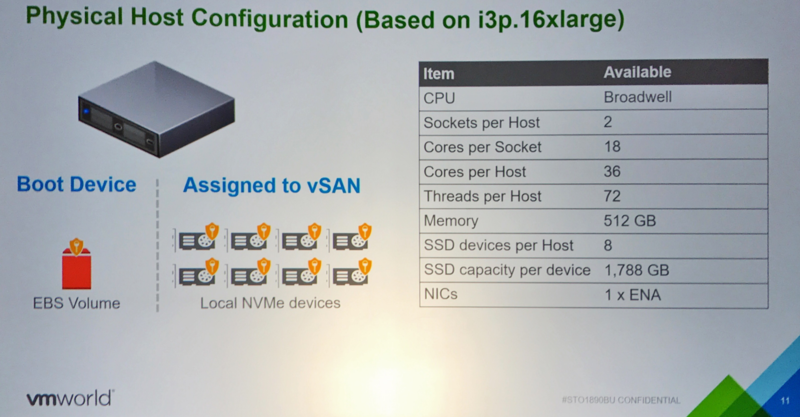 ESXi servers are booted from EBS storage and use 8 local NVMe drives each for the vSAN storage for the cluster. A minimum of 4 hosts are required, and it can scale beyond that. The ESXi servers are 36 cores, and 512GB of RAM, making a total of 144 cores, 2TB RAM, and 56TB of storage. Management tools, vCenter and NSX VMs, are also installed within the vSAN cluster. 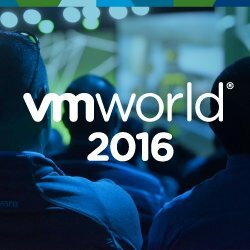 However, VMware realized that since they are managing these, the customer should not have access to them. 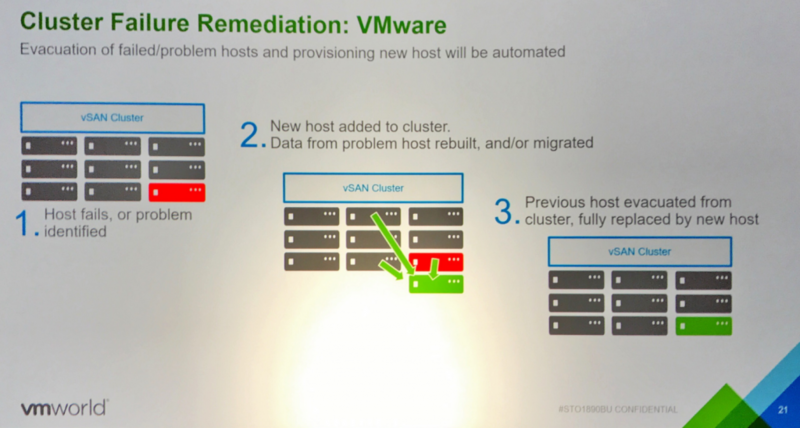 So VMware came up with a way to logically segregate the vSAN datastore into a management portion, and a customer accessible option. This is one of the great aspects of VMware Cloud on AWS. All maintenance is handled by VMware / AWS. 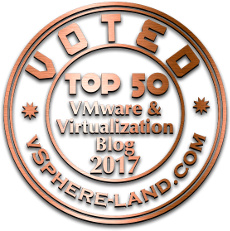 When vSphere updates are to be applied, a new host is added into the cluster, and an existing host is put into maintenance mode, with the option to maintain data accessibility. The hosts are then remediated 1 by 1 until all patched, and the temporary host is removed. The reason for the temporary host is to maintain compute resources for the customer during maint, and also act as a new host should an existing host fail to come back up within an hour. Excellent question! Since the infrastructure is managed outside of customer control, many had questions about backing up VMs. However, VADP is enabled, and required vCenter permissions are available to the customer account. This is great news because Veeam can ingrate right in one day 1 to backup the workloads. Some caveats are in place, such as hotadd being the only backup mode available and no vPower NFS datastore for SureBackup. 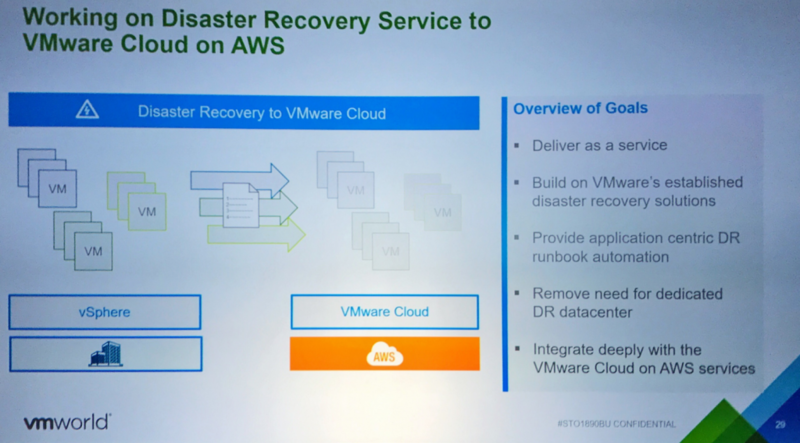 However, on VMware’s roadmap for VMware Cloud for AWS is IP storage, which means SureBackup jobs and instant VM recovery will be available once IP storage is added. 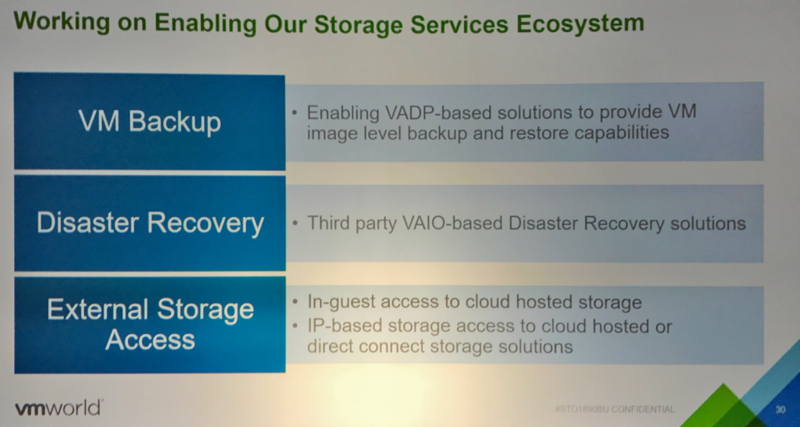 As an added bonus, VAIO will also be available, making DR easy for customers running Veeam v10 with CDP – Continous Data Protection! 3 year reservation: ~$3,000 per host per month. As you can see, there is significant savings purchasing a 3 year reservation plan! Restrictions apply, terms and conditions, etc. 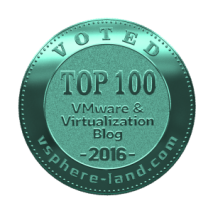 Currently, deduplication and compression are not enabled on the vSAN cluster. Also, stretch clustering is not available. 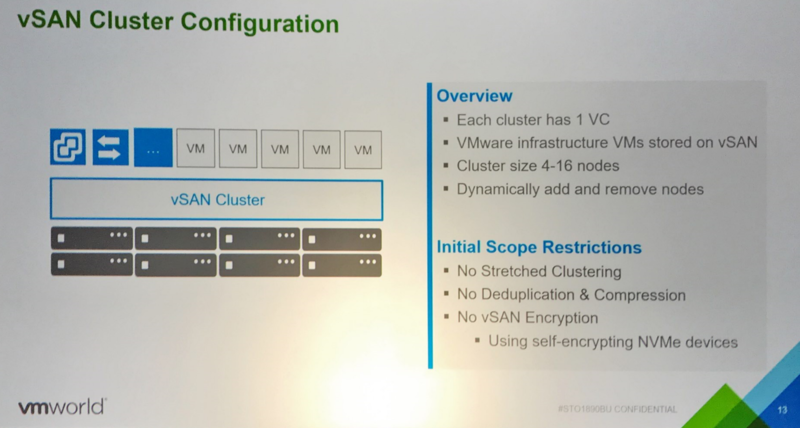 And last, vSAN encryption is also not available. However, the NVMe devices are self-encrypting, which means data is protected in the event of device removal.